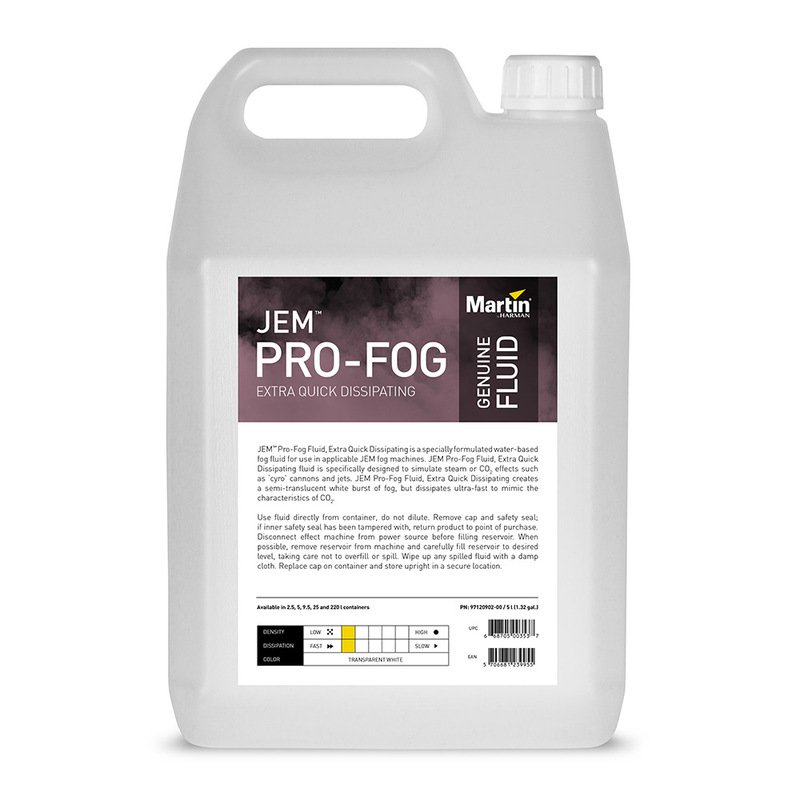 JEM™ Pro-Fog Fluid, Extra Quick Dissipating is a specially formulated water-based fog fluid for use in applicable JEM fog machines. 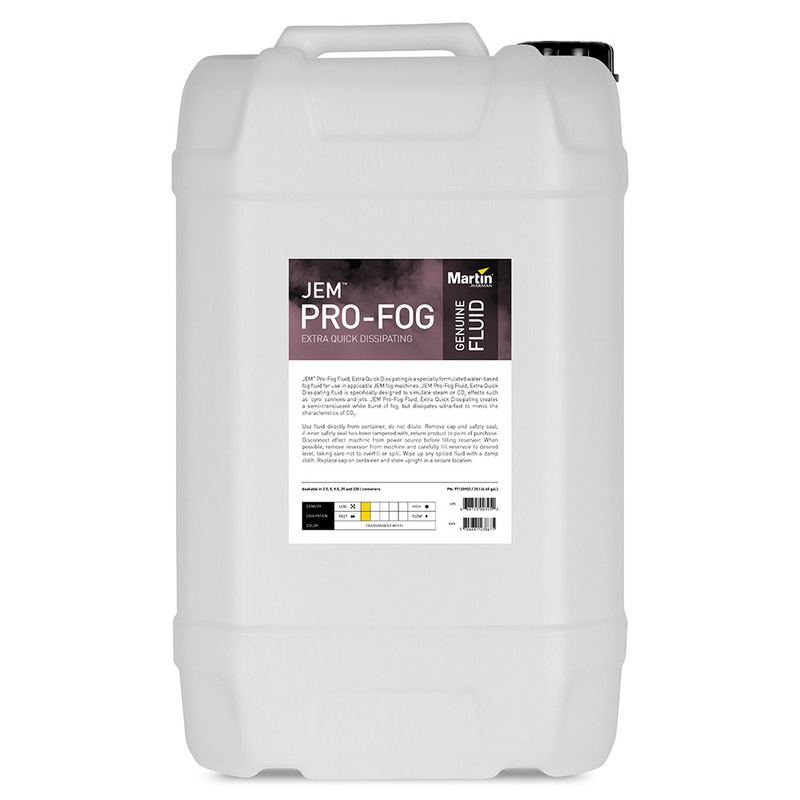 JEM Pro-Fog Fluid, Extra Quick Dissipating fluid is specifically designed to simulate steam or CO2 effects such as ‘cyro’ cannons and jets. 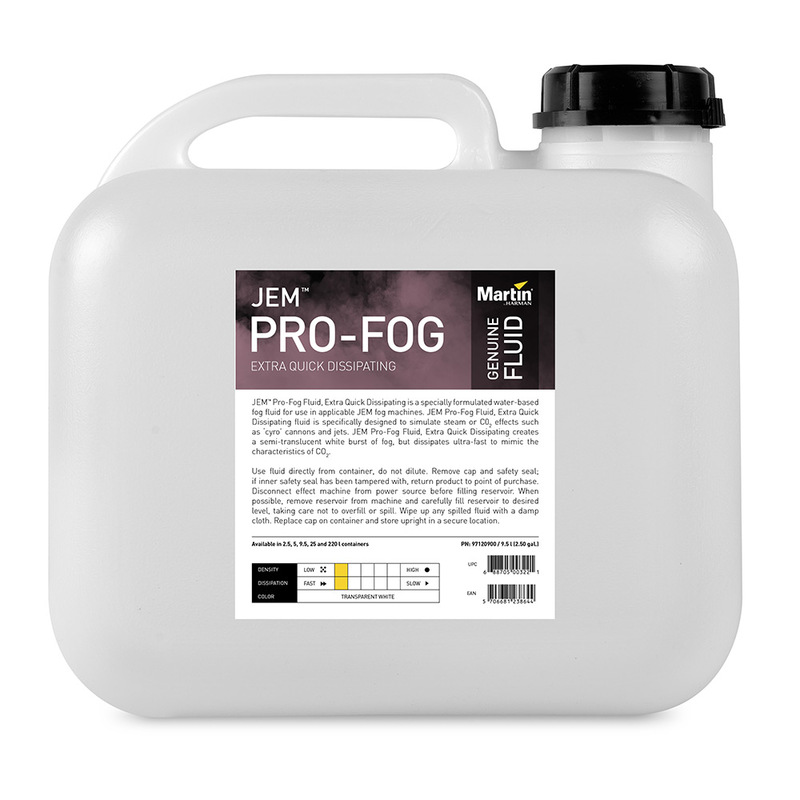 JEM Pro-Fog Fluid, Extra Quick Dissipating creates a semi-translucent white burst of fog, but dissipates ultra-fast to mimic the characteristics of CO2. 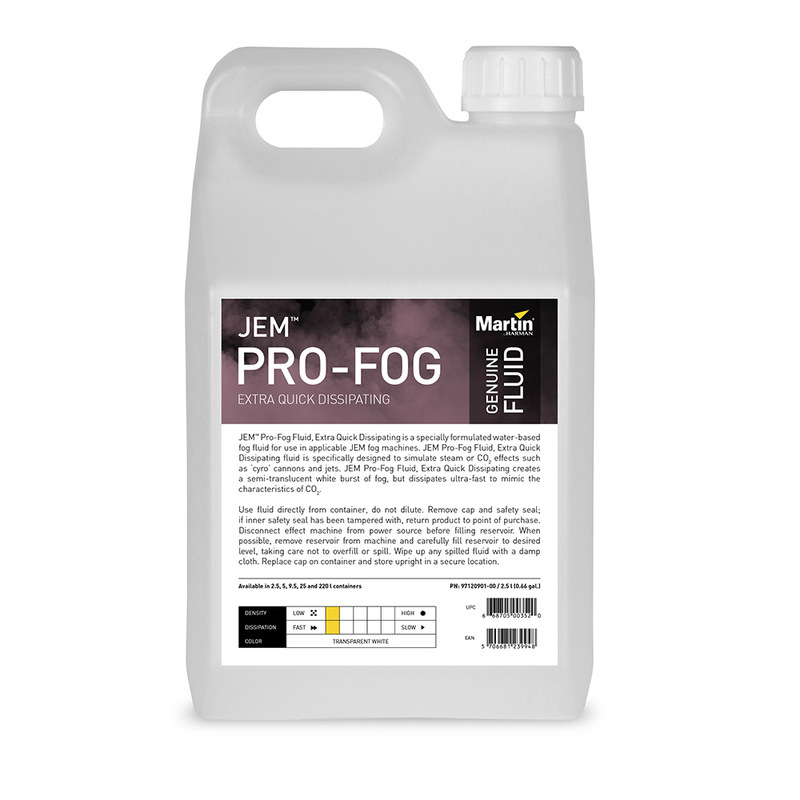 When you need a semi-translucent burst of fog to draw attention, but also need it to disperse ultra-fast, accept no substitution—JEM Pro-Fog Fluid, Extra Quick Dissipation. 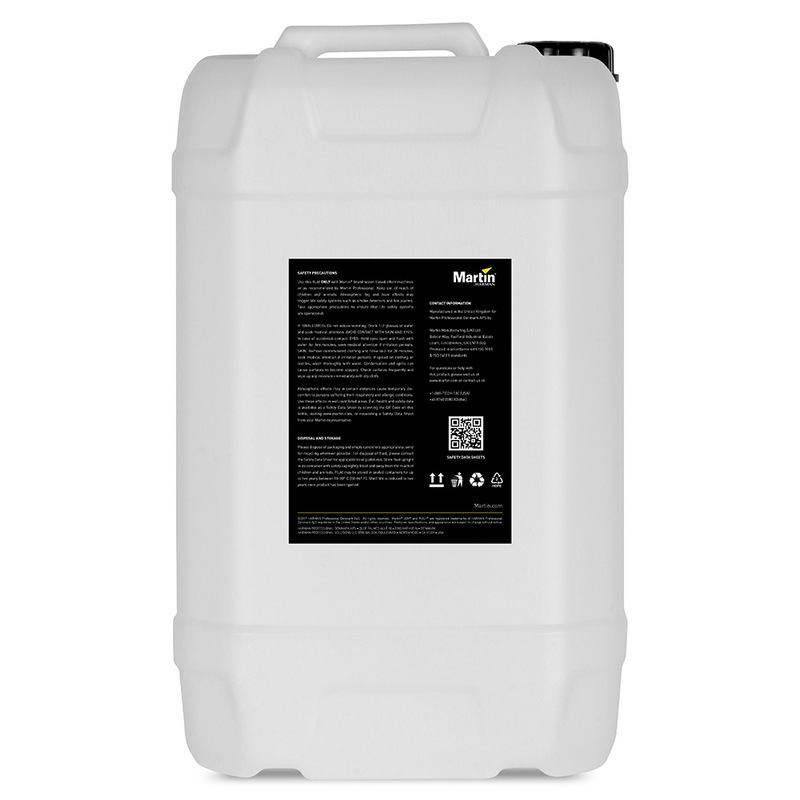 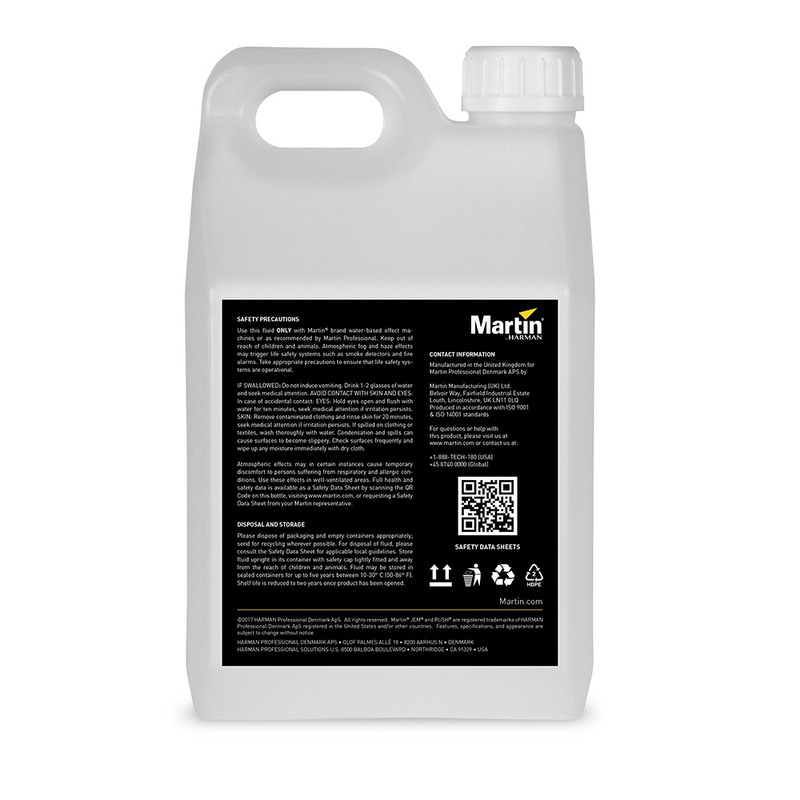 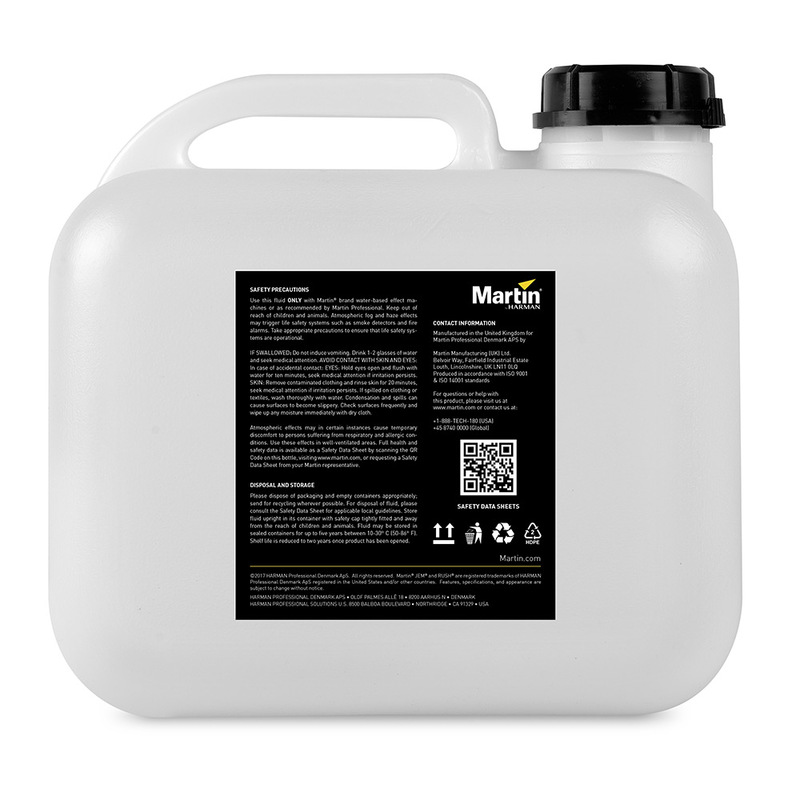 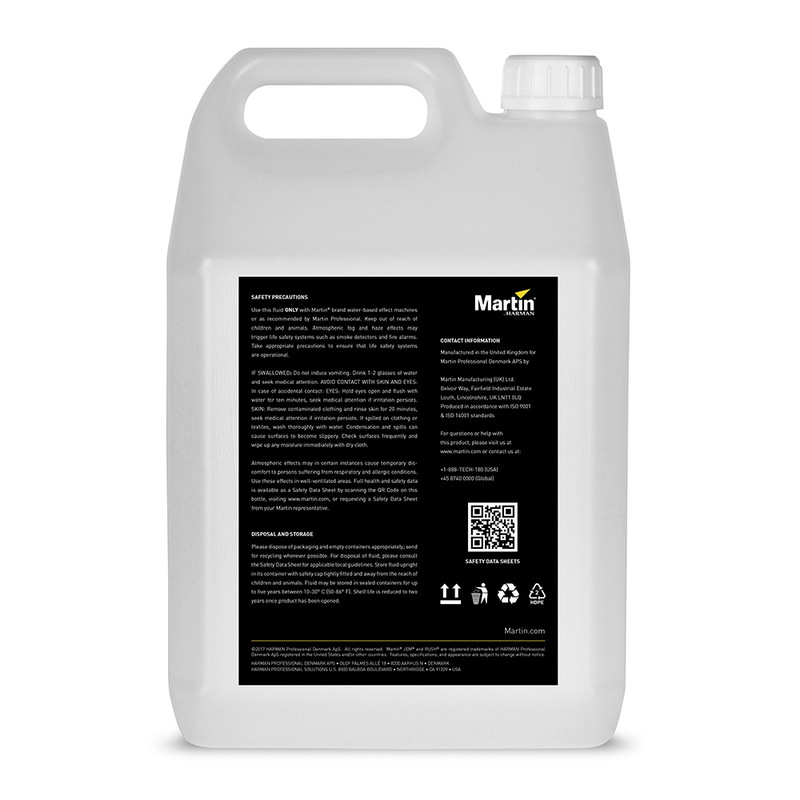 This water-based fog fluid is designed to mimic steam or CO2effects such as cyro cannons and jets without the hassle of actually using CO2. 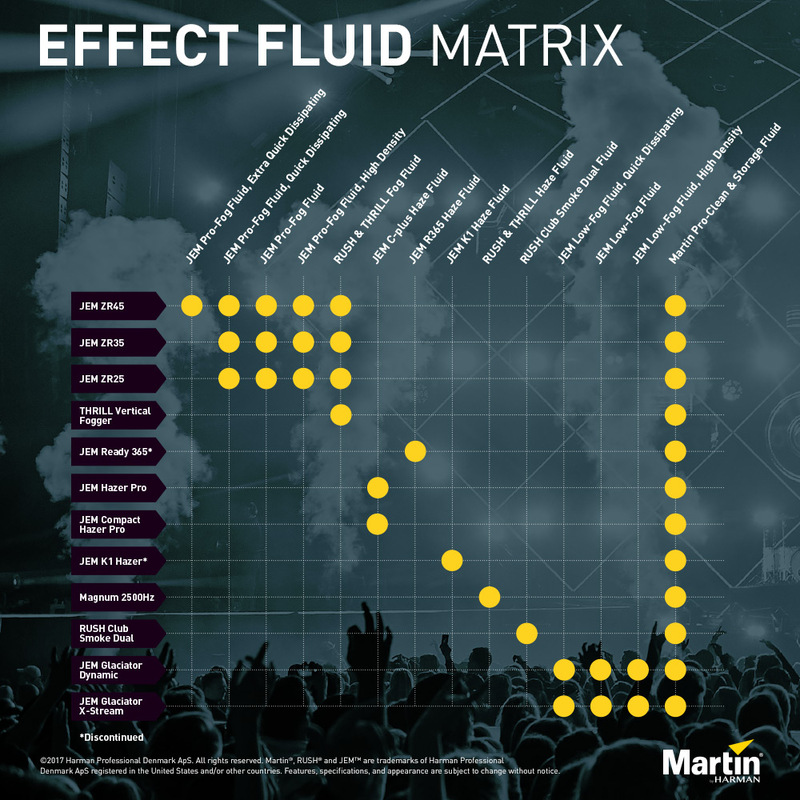 When used in combination with a JEM brand fog machine the effect will be visually stunning. 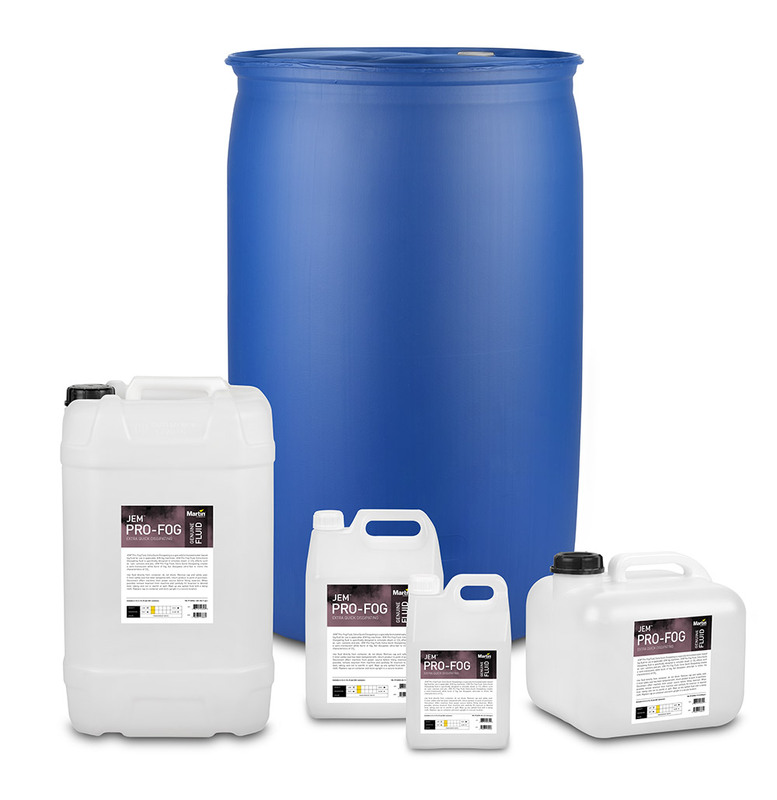 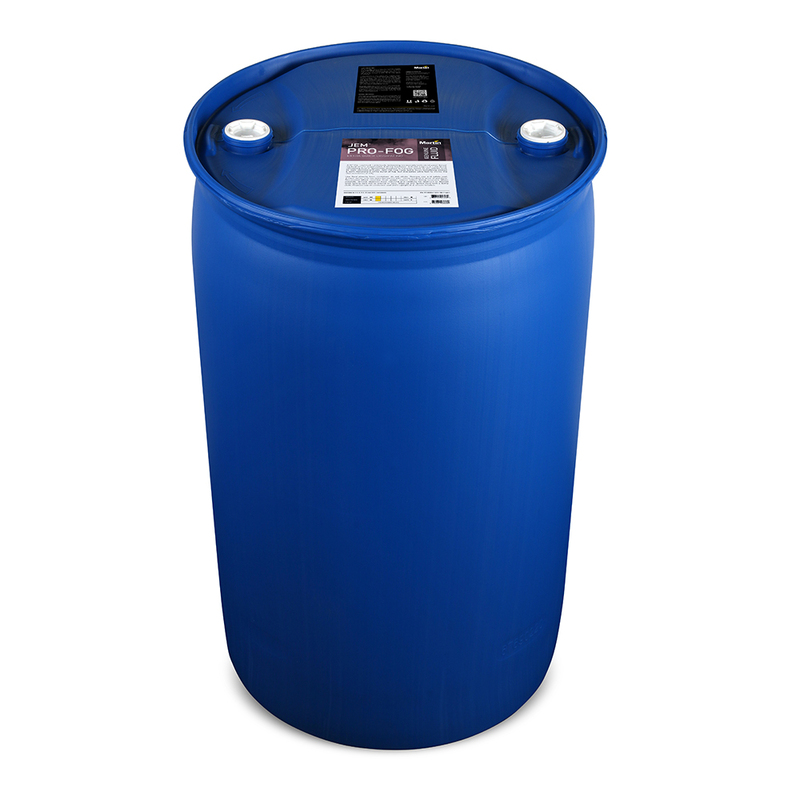 See Safety Data Sheets (SDS) for comprehensive safety and storage information.